The RBS 6 Nations 2011 kicks off this week, with the first game on Friday night between Wales and England. Here is a short clip from a classic match back in 1999, that features a big hit from powerful England forward Tim Rodber. This weekend the tournaments kicks off at the Millennium Stadium in Cardiff as the 2011 Championship could be an interesting gauge of what's to come later in the year. 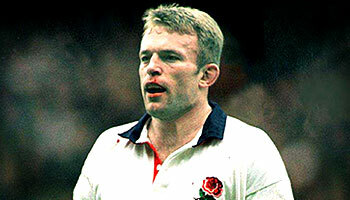 It will of course also be a great test of depth, as both England and Wales are suffering from a few injuries. Back in 1999 the tournament was slightly different in that it was the Five Nations, with Italy not having joined yet. Everyone will remember how this particular game panned out, with Scott Gibbs scoring the winning try, but this tackle occurred a few minutes before that. England's Tim Rodber, a mountain of a man, smashed Colin Charvis in what these days would probably be considered a yellow card, if not more. At the time, referee Andre Watson and his touch judge thought it was bad enough for a penalty, while the commentators, and perhaps those in the ground and watching at home, thought otherwise. What it does go to show though is that even back then, twelve years ago, these type of tackles were controversial and opinions were mixed about the outcome of a decision. Whichever side you sit on, it was a big hit that rocked Charvis, so I'm sure some of you will enjoy seeing it. More on the Six Nations, and this match, later in the week. Dual international Sonny Bill Williams took place in his third professional boxing fight this weekend, resulting in a unanimous decision as the All Black won on the Gold Coast. While the previous two fights have been questionable, this time he was tested by brawler Scott Lewis. It was clear early on that Lewis meant business as he came out the blocks firing away at the multi-talented Williams, who managed to raise a few thousand dollars from the event. The fight went six rounds and while both showed fatigue, Williams’ superb conditioning meant he was able to get stronger as the fight went on, whereas Lewis, while giving it his all, was gaping for breath at times, and failed to successfully land one of his dangerous lefts. The Williams jab kept him at bay, while a few uppercuts did most of the damage. "Obviously I would like to extend my boundaries and do well in another sport, but there's a lot of things I need to sharpen up," he said. "It's a work in progress." The former NRL star finished ahead on all three scorecards, 60-55, 60-55 and 60-54. ''I can have another fight if I wish during the season - it is in my contract - but if I feel that it is going to jeopardise my playing ability in any way I won't do it because rugby is first right now,'' Williams said. ''But if it doesn't, if it feels like it would give me that kick which I feel right now - I feel mentally strong and I could play 80 minutes easy of footy after that - then I will do it for sure. Williams will now return to training with the Crusaders, hoping to add another two kilograms to him impressive frame ahead of his first ever Super Rugby season. The following is a short clip highlighting some of the more entertaining moments in the fight. Toulouse got over their disappointing Heineken Cup loss to Wasps with a 29-9 midweek win over Montpellier in the Top 14, in what was a game with lots to talk about. Great tries, a few bad misses, and a prop pulling off a sidestep. The comprehensive four try, bonus point sees the European champions stretching their lead at the top of the table, while Montpellier are now in fifth place, with title aspirations of their own. Wing Maxime Medard and prop Census Johnston both scored twice. Medard’s second try came from a superbly timed kick through from David Skrela, who himself kicked three conversions and one penalty on the night. Big Samoan front rower Johnston, who we saw with an impressive run against Wasps last weekend, showed his deceptive speed again with a lovely try that included a sidestep on the way to the tryline, coming close to colliding with, and probably knocking down, the posts. Incidentally, he signed a three year extension on his contract earlier in the day. There were a few missed efforts, including a shocker from Rupeni Caucau over the tryline, but there was plenty of quality so its worth having a watch. As anyone who’s ever played rugby knows, the sport and its culture has a unique factor that can be life changing in many ways. Inmates at a Buenos Aires prison have been lucky enough to be exposed to the game, and have since flourished. Someone posted a link to this video on the forum earlier today so I had a look, and it’s got to be said, it’s quite moving. Despite the guys involved being hardened criminals subjected to a life behind bars, the joy they get from playing is great to see. Through the initiative of one inmate, this prison in Argentina took on a rugby program to give those who stay there another outlook on life, and a means to get rid of extra pent up tension and aggression. Yes they’re criminals, and being in prison is punishment for what they’ve done, but they’re just human and if rugby can be the means of reformation, surely it's worth giving them that. It seems to have worked too, as these guys not only got fit and trained hard whenever possible, but were also able to play a game in the outside world, with their family on the sidelines. Its fascinating viewing, and just another example of why this is such a great metaphor for life. Respect, honour, humility. If nothing else, at least some of those in Unit 9, and now other facilities around the world, will have learnt something through playing the great game of rugby. Clermont went joint second with Racing Metro on the Top 14 table when they beat them 31-15 at the Stade Marcel Michelin on Wednesday evening. There were some great tries scored including a moment of magic from scrumhalf Morgan Parra. Points difference has meant that Clermont are now second on the table, with Toulouse now sitting comfortably at the top after their win over Montpellier. Clermont have only conceded ten tries this season, so Racing struggled to penetrate the line. There’s no love lost between the two sides and this game lived up to the hype as the atmosphere in the Stade Marcel Michelin reflected. Gonzalo Canale scored a great try in the first half, before Vincent Debaty and Alexandre Lapandry scored in the second. Morgan Parra, who kicked 16 points himself, produced some wonderful skill down the touchline for the Lapandry try. France are oozing talent at number nine currently, not a bad thing heading into the Six Nations. Aurelien Rougerie said the controversy that had been brewing off the field leading up to the game didn’t effect his side in the least bit. "We had to come up with a big performance against Racing-Metro. We are satisfied to have won but the road is long and we have a lot more things to work on," he said. London Irish prop Faan Rautenbach was cited following a yellow card he received for stamping on the head and shoulder of Munster's David Wallace on the weekend. Earlier today he was found guilty, facing three weeks on the sideline. 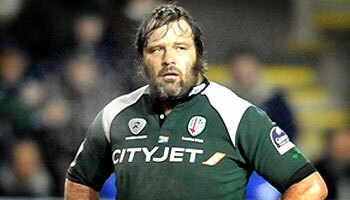 Former Springbok Rautenbach was adjudged to have stamped on Wallace during London Irish’s 28-14 loss at Thomond Park. He was sent from the field with a yellow card as the incident was spotted right away, but citing commissioner Francois Guers made a complaint against him, leading to today’s hearing. The 34 year old front rower faced the independent disciplinary hearing a few hours ago and after taking into account his clean record and guilty plea, a five week ban was reduced to three by judicial officer Robert Williams. Under Law 10.4 (b) – a player must not stamp or trample an opponent – the offence was deemed to have fallen in the Mid Range category, but Rautenbach will sit out for only the Low End punishment. Top end is 9 to 52 weeks. Florian Fritz was due to apper before the same disciplinary panel. We’ll update here when we hear more. Feel free to tweet @rugbydump if you hear soon. In probably the most dramatic finish of the round, Wasps scored a late try to beat Toulouse 21-16 in their Pool 6 Heineken Cup meeting at Adams Park on the weekend. Wasps were already out of the tournament, but the loss for Toulouse means an away quarter final. This is the same game that we showed a clip from earlier in the week, when Florian Fritz was red carded for his tackle on Tom Varndell. Fritz raised his finger to the crowd while leaving the pitch, and is set to appear before a disciplinary commission on February 3. He is suspended from all competitions until his hearing, ruling him out of Top 14 games. It was a disappointing afternoon all round for Toulouse, who thought they had done enough after fighting back to be at 16-16 with time almost up. A moment of brilliance from Joe Simpson and a determined chase by David Lemi changed all that. The late try meant a win for Wasps, and denied Toulouse their home quarter final, so they now travel to face Biarritz, in what should be a far more daunting prospect. "Today we showed Wasps' true fighting spirit and we made quite a big point of Toulouse having never beaten Wasps in England. 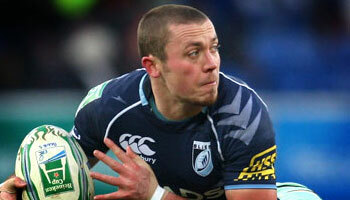 That was a point of pride for us," said Shaun Edwards. Despite heading out of the tournament, Munster ended their Heineken Cup campaign on a high with a bonus point 28-14 win over London Irish in a fascinating game played in front of a packed Thomond Park on the weekend. Scores were tied at 0-0 at halftime after an absorbing first half where neither side could get the ascendency. In the second Munster scored tries through Damien Varley, Niall Ronan, Keith Earls, and Darragh Hurley, while Ronan O’Gara failed to miss a kick. "We were playing for our lives really," said Tony McGahan. "We were playing at home with a tremendous record, which has been gained over a long period of time with a lot of guts, spirit and passion. We certainly weren't ready to give that up. With our record at home it was important that we gave a performance." The goal was redemption after their heavy defeat at the hands of Toulon a week earlier, and they not only restored some pride, but managed to earn a place in the Amlin Cup too. London Irish were led superbly by Seilala Mapusua, who at times looked like he could walk on water with his incredible defense and a few moments of sublime skill. They came up short in the end though in what is now a disappointing season for the Exiles. To compound matters, prop Faan Rautenbach has now been cited for a stamp on David Wallace. We’ll feature the clip either here or on the Facebook Page soon, so make sure you’re a member there by clicking Like, which will keep you updated. Smartphone users, get your rugby fix with Rugby Nations 2010! As we attempt to catch up with some of the better action from the weekend, these highlights are from a powerful Heineken Cup display by Perpignan as they beat Scarlets 37-5 at the Stade Aime Giral on Sunday. There were some lovely tries scored as the Catalans made sure that Scarlets weren’t in with a chance of making the quarter finals as they scored five tries to one in front of their passionate fans. For the Welsh region, Scarlets’ Nigel Davies was disappointed to exit Europe like that. "It was in our control but we didn't play well enough. We turned over too much ball and quality opposition like Perpignan will punish you. We knew coming here we would have to perform at the very top of our ability but we didn't perform on the day. But overall it was a positive campaign for us." Their attention will now turn to the Magners League, where they lie second on the table. "We have everything to play for in the Magners and have shown we can be resilient and bounce back after defeat," Davies added. 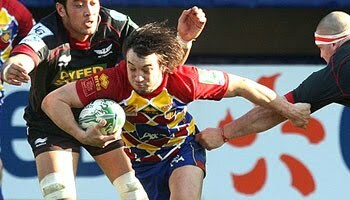 Perpignan did well to match Leicester’s performance, taking maximum points to stay top of the table in Pool 5. They will face Toulon at home, most likely in Barcelona. Rugby in the USA is steadily growing in terms of it's popularity, player numbers, and place in society. Sevens is no different, so this year's USA Sevens tournament in Las Vegas promises to be bigger and better than ever before, and you could be there. Through Rugbydump, for one week only, we're organised this great package whereby you can enter to stand a chance at winning all exclusive tickets to the main event in sin city. You'll not only get to watch some incredible rugby on the field, but also have two nights stay at the superb Tropicana Hotel and Casino. Before you head off on your once in a lifetime weekend, there's also $100 thrown in to pick up some gear at Sevenshop.com. Keep February 12th weekend open as you might be enjoying the fourth leg of the IRB World Series Sevens tournament live at the Sam Boyd Stadium. 16 International teams. 44 Action packed games. 2 Days of non-stop fun. It's going to be the biggest party on America, taking place February 12th & 13th. Get your fancy dress ready. If you're not feeling lucky and don't want to leave anything to chance, get your tickets for the tournament in advance at USASevens.com today. 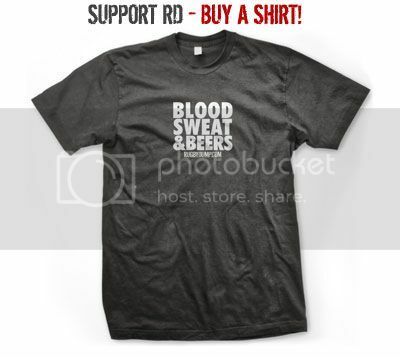 Support USA Sevens on Facebook here. Ospreys hosted Toulon in what was a bit of a dead rubber at the Liberty Stadium on the weekend. Pride was on the line for the home side, who came away 29-17 winners over the weakened tourists, who had already qualified for the knockout stages. Aside from the win for Ospreys, the great news for Welsh rugby is that ace winger Shane Williams came off the bench and was fantastic, coming back from an injury that many thought would see him sitting out of the early stages of the Six Nations. It was Williams’ first outing since dislocating his shoulder against South Africa in November and he looked fresh as ever, setting up a try for Nikki Walker and looking threatening with ball in hand. He’s since been called back into the Wales squad. "I’m just chuffed I’m back three weeks early. The timing is perfect. Maybe it was meant to be. Who knows? When I had the injury, they were talking 12 to 13 weeks. But I’ve had injuries before and I’ve always seemed to come back early. I don’t know what it is," Williams said. "I was a bit worried this time with the age factor and everything. But I just played it by ear. It isn’t an injury you can mess around with. I’ve said this is going to be my last international year and the last thing I wanted to do was rush back, play a couple of minutes and make the injury worse. "I wasn’t going to push it. I’ve come to a stage now where you’ve got to look after your body and that was the main thing really. I wanted to make sure I was 100 per cent fit before I played any rugby. But I’ve been lucky. I’ve worked very hard to get back and the rehab has gone very well," he added. Toulon had scored through Matt Henjak and Rory Lamont and were 17-12 up when Williams came on, but he sparked things and set up the Walker try with typically brilliant simplicity, if that’s even a term. Walker strolled over after Williams summed things up. Alun Wyn Jones scored late on, sealing a good win that keeps up their unbeaten home record in Europe since December 2005. Biarritz beat Bath 26-19 in Pool Four of the Heineken Cup on Saturday. The bonus point win took them to top spot and means that they will have a home quarter final, hosting Toulouse in April. Dimitri Yachvili got the home side off to a good start with a charge down try early on, before Iain Balshaw continued his good form with a try either side of half time. Zee Ngwenya finished well after some good play, and despite Stuart Hooper and Tom Biggs scoring, Bath were never really in control of matters at any stage. "If you look at our win-loss count in this pool, it looks poor. But we were better than that indicates. It's frustrating to have lost," said Bath coach Steve Meehan. Their late consolation try showed what they’re made of, but its little consolation for what will have been a disappointing game for them as they’d hoped for a bonus point win. Bath now bow out of European action, taking only a losing bonus point from the contest. Biarritz march on to the last eight and with the type of rugby they’re playing at times, look like they could prove quite a handful for Toulouse in front of their home crowd. Do you follow RD on Twitter? 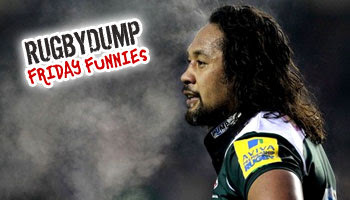 Check out @rugbydump for latest news, views, and updates. 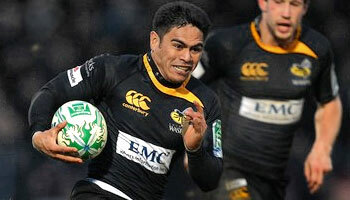 Earlier today Wasps beat Toulouse with a last gasp try by David Lemi as the scores were tied. Highlights of the game will be posted soon, but for now here's the controversial red card decision that saw Florian Fritz take an early exit. Richard Haughton, who was excellent all day, sparked a brilliant breakout before a cross kick left Tom Varndell in space as Wasps looked dangerous in what was a fantastic game of rugby. 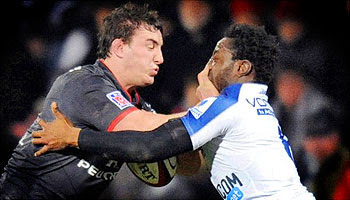 As Toulouse did well to get back in defence, Florian Fritz lifted and dumped Varndell in what was deemed to be a dangerous tackle by referee Alain Rolland. Rolland seemed to have little doubt, showing the straight red card without much hesitation or consultation with his assistants. Fritz was understandably shocked, but his middle fingered gesture while walking off the pitch will leave most fans with little sympathy, and will more than likely land him in hot water with the ERC, who don’t take kindly to that type of behaviour. Whether or not the tackle actually was worthy of a red card is up to you to decide. The intent to lift and dump the player is obviously what tipped - for lack of a better word- Rolland in favour of issuing the red, even though the way that Varndell landed seemed fairly safe. The finger by Fritz isn’t forgivable though, and while he obviously lost his head and let his emotions got the better of him, a disciplinary hearing will be forthcoming. There were many games this weekend with plenty of great moments. If you spotted anything that you’d like featured, please post a comment on the requests forum or send in an email. It's been a while since big hitting machine Jason White has been featured here on Rugbydump. He's back though after this great tackle he made on Saracens' Chris Wyles on Friday night was much requested. Scotsman White, now 32, has had a rough time since moving to Clermont in France, with injury derailing his attempts to be a regular first choice player for the club. Last year he broke his leg and was out for a lengthy period, but has since made good progress. "To miss eight months it is always going to take any player time to get back up to speed and that was the case with myself, but I have now been involved in the last 10 club matches and I am feeling good," White said recently. "Of course I would like to be starting more matches, but we have a top quality pack and I just have to take my chances to impress when they come along." While out with injury last year White wasn't completely inactive, as during his recuperation he's been busy off the pitch with fatherhood as he and his wife now have two little girls. He also says that despite a disappointing 2010, he loves life in France. "Playing matches in France is something else. Every club’s fans are so passionate and almost look to the team to defend the local area’s honour and as a result there are some great atmospheres. It really spurs you on as a player and makes each occasion different." The former Scotland captain would love to play for his country again, and if all goes well he could end up being at the World Cup later this year, but for now his focus is on Clermont. "There is serious competition for places at Clermont and nobody can take their place for granted. That’s one of the reasons why I don’t want to get ahead of myself as regards Scotland. "Of course I would love to play for my country again and there isn’t anybody with more national pride than me, but my initial objective is to get into the Clermont first XV on a regular basis, and that will be a huge challenge in itself," he said. With hits like this and a typically high workrate, White seems to be on the right path and will no doubt regain his well earned reputation as being one of the hardest men in the game. As we've seen on more than one occasion, being a referee comes with a few occupational hazards. While they should be light on their feet, aware of their positioning and generally one step ahead, occasionally they get it wrong. Irish referee George Clancy  got himself in a bad position when officiating last weekend's Heineken Cup game between London Irish and Ospreys, resulting in a pretty solid tackle from Exiles center Seilala Mapusua. In fairness it looked as though Clancy got in the way because it was such a quick pickup off the base from Ospreys number eight Jonathan Thomas. If you watch carefully you'll see how referee Clancy, wearing bright pink on the night, turned and basically ran head-on into the collision. To his credit, he bounced straight back up and showed little ill-effects from the knock that was actually one of the bigger hits we've seen ref's take over the years. It's only a short clip as there were no replays at the time, but it was requested and we figured some of you might find some mild amusement in it. Have a great weekend. There's been a bit of a break on the Sevens circuit after the first two tournaments produced some thrilling games. Next up, the teams head to Wellington before another big party in Las Vegas shortly after. The series kicked off in Dubai to the usual fanfare and expectation as the big five aimed to have a real crack at taking the title this time around. England proved to be the surprise package with not only some sensational rugby on show, but also a new jersey that turned out to be their lucky charm. After surprisingly losing to Portugal, they came back to beat New Zealand and then Samoa in the final, all while wearing the bright orange and yellow kit that seemed to spark life into their blisteringly quick outside backs. Heading to George in South Africa, England were on the radar as it looked to be another good season for them. They went down to a determined New Zealand side who actually won the tournament with a penalty drop-goal, something rarely seen in Sevens rugby. With just two legs played, that leaves the series wide open as there's still a long way to go. Wellington is up next, a venue that is notorious for it's incredible party atmosphere and fancy dress culture throughout the weekend. 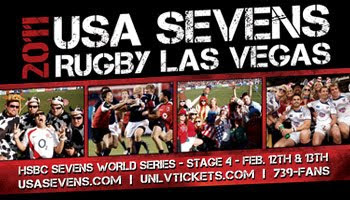 If you're in the area, best you get planning as that starts on the weekend of the 4th Feb.
After that, it's the bright lights of Las Vegas as the USA Sevens looks to up the ante once again and put on another spectacular tournament in the city that never sleeps. We've got a great competition coming up for that one, so keep a look out over the next week or so. Match tickets, flights, etc are all included. For now, after a few days that included some nasty stuff, this video features some brilliant running rugby so if you like Sevens, and like seeing the ball do the work and the gasmen finish out wide, have a watch. Munster had a nightmare of a day in Toulon on the weekend as they not only took a 32-16 hiding, but had to deal with a controversial call as kingpin flyhalf Ronan O'Gara was yellow carded for his part in a tussle with Pierre Mignoni. Mignoni, who will be retiring at the end of this season, was fantastic on the day and the fighting spirit he showed typified the Toulon performance, knocking the much fancied Irish side out of the competition for the first time in many years. The decision made following this incident wasn't as clear cut as the Munster loss though, as referee Dave Pearson took a hard-line approach to assistant ref Sean Davies' recommendation. While O'Gara and fiery scrumhalf Mignoni were no doubt the instigators of the scuffle, if anything it was former Leinster man Felipe Contepomi and Munster captain Denis Leamy who accelerated matters. It led to mass chaos, and O'Gara was the only one to be picked up. The score was 29-9 at the time of the carding, and by the time O'Gara came back the score hadn't changed, so it didn't have a massive bearing on the outcome of the game. However it looked like the wrong call, and I know some of you wanted to see it again. If you were referee on the day, what would your call have been? 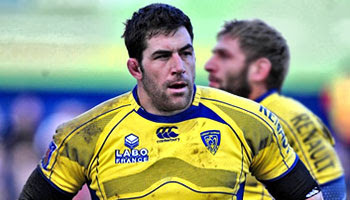 Serial offender Jamie Cudmore has been handed a 40 day ban after being cited for his latest offence against Perpignan in their Top 14 game a few weeks back. He’d just made a return from suspension. Cudmore struck Perpignan forward Gregory Le Corvec on the ground in what looks like somewhat of a cheapshot, possibly based on the history between the two players. Le Corvec was suspended last season after tampering with Cudmore’s eyes. The big Canadian second rower has been temporarily suspended since the incident, so by the time his ban comes to an end, he will have missed five matches in total for Clermont. He’s only played in nine Top 14 games this season. He’s spending more time off the pitch than on it these days, as the game against Perpignan was his return after being out for 70 days following a stamp. His disciplinary record is accumulating and the next time he so much as steps out of line, you can be sure that the resultant suspension will be far heavier than one that would match the crime. According to Planetrugby, since joining Clermont in 2003 he’s picked up 21 yellow cards and 3 red cards. That doesn't include citings and suspensions. 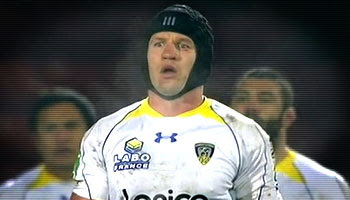 Surely at this stage Clermont must be wondering if at the age of 32, he’s more of a liability than he’s worth? As he heads into what will no doubt be his final season of Test rugby, former League international and current All Black lock Brad Thorn reflects on a career that has taken many twists and turns along the way. So established in the New Zealand rugby set-up now, some of you may not realise that not only is Thorn a former League veteran, but he actually represented Australia against New Zealand in a few games, having got there while playing for Queensland in the NRL. His loyalties have been divided for a while now and after making a switch to Union in 2001, and a move to his homeland across the Tasman, Thorn made it into the All Blacks squad for the World Cup in 2003, before moving back to Brisbane in 2005 to again play League. Two years later he made his final switch, back to Union, and has been a force with the Crusaders, and later the All Blacks, ever since. In this video from the IRB's Total Rugby show, Thorn talks about the League vs Union comparisons, says why he considers a Tri Nations tournament to be tougher than a World Cup, and talks about his future off the field. The powerful second rower has had a fascinating career filled with accolades, but there's one trophy that still escapes him, so he'll no doubt be aiming to make that right later this year in New Zealand. 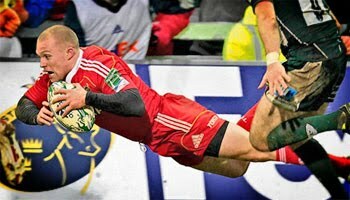 Ulster beat Biarritz 9-6 in a low scoring Heineken Cup pool 4 game at Ravenhill on Saturday. In a tight game of few standout highlights, this big charge from Dan Tuohy was much requested. Ian Humphreys was hero of the day as he kicked three second half penalties to take Ulster to victory after they’d been 6-0 down at halftime. His final kick was similar to his first, from over 50 out, and was slotted with little time remaining on the clock. He’s since said he didn’t actually realise how little time was left, which perhaps explains his coolness under pressure. He has said though that the extra kicking training he and halfback partner Ruan Pienaar have put in paid huge dividends. "To be honest I probably didn’t realise. I thought there was a bit more time left. Fortunately for me I got it up in the air and the wind did the rest," said Humphreys. "As I said to Ruan, that’s what we’re doing out there every day after everybody’s gone home. You just bring it back to that; it’s what we do on the training pitch, as if we’re having a wee competition against one another and just trying to knock it over," he added. As for Tuohy, he was a stand out player on the day, carrying well, effective at lineout time, and sticking his hand up for Ireland selection come next month’s Six Nations. His charge over Marcelo Bosch left the Argentine center out cold on the floor, and despite attempting to shrug it off, the brunt of Tuohy’s knee meant that his day was over. Ulster plays Aironi in a crucial game on Saturday, that if they win, will guarantee them their first appearance in the knockout stages in Europe since 1999. You can view Humphreys’ winning penalty kick on the Rugbydump Facebook Page now. If you like RD, make sure you ‘Like’ the page on there as news, extra videos, and competition offers all get posted there from time to time. Stay updated by joining 78 000 others! It was a historic day at the Stade Felix Mayol on Sunday as Toulon beat Munster 32-16, reaching the knock out stages in their first competition, while Munster failed to qualify for the European Cup quarter finals for the first time in 13 years. The highly anticipated clash lived up to expectations as the home side, backed by their typically pumped up fans, managed to outplay Munster with a brand of rugby that blew away the visitors, not allowing them to ever really get in the game. Christian Loamanu and Paul Sackey both scored good tries in the first half, while Jonny Wilkinson scored 22 points with some excellent goal kicking, punishing Munster for their indiscretions. At 29-9 up at half time, there seemed to be no way back for Munster, despite scoring a consolation try through David Wallace late in the game. 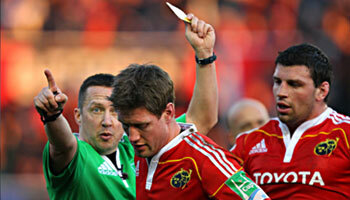 Yellow cards for Donnacha O’Callaghan and Ronan O’Gara, both for indiscipline, didn’t help their cause. "We have been round the block but Toulon were far superior, packed with great players and full of leaders. 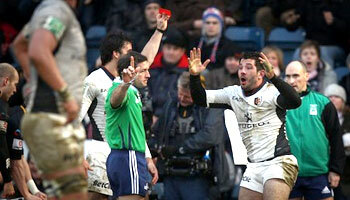 They did the simple things well and you can't keep on giving penalties away when Jonny is around," said Paul O’Connell. After years of building things now seem to be coming together for Toulon as this mix and match side, led impeccably by captain Joe Van Niekerk, are now reaching the kind of heights that were all part of the master plan. Stars have come and gone, but right now they’re capable of playing the kind of rugby that on any given day can upset the best on offer. Wilkinson’s form has naturally brought up the usual questions regarding England selection and World Cup prospects, but for now he’s totally focused on Toulon. "Rugby is lived here, it becomes a very special part of you, almost as if it's part of your family. You might have thought that would be the way at every club. But it's not. And that's given me real fulfilment and pleasure. 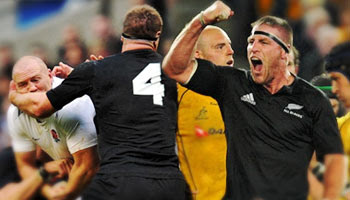 It's made my life quite exceptional," said Wilkinson. "Of course I'll always give what I can to the England cause. But my place there needs to be merited. And for that to be the case then I have to be doing what I'm doing here because it makes me the person and the player I am. If England fits, it will be," he added. 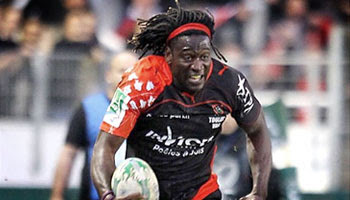 Fellow Englishman Paul Sackey has also stated that he's happy at Toulon, and plans to play out the next few years there, probably never returning to club rugby in England. Read more about what he said in a recent interview here. The following highlights are in French, as the game was hosted there and in general, it seems as though some of you enjoy it just as much as English commentary. Please also note that we've still got tickets to give away for games next weekend. Find out more and enter here. Leicester Tigers came back from being 10-6 down to the Scarlets to take a well deserved 32-18 win at Parc y Scarlets on the weekend. They move level on points with Perpignan at the top of their pool, with a game against Treviso to come. Tries were scored by Alesana Tuilagi, Ben Youngs, and Steve Mafi as the Tigers put themselves in a position to play for a quarter final place in the next round. "We had to win tonight, otherwise we were out. That's massive when you have to front-up like that, and the boys fronted-up," said Leicester’s director of rugby, Richard Cockerill. Ben Youngs’ try came from a nice breakaway after a turnover, but has been criticised for the way the England scrumhalf celebrated before the try had even been awarded. "You've got to pray, look to the heavens and hope you didn't put a foot out of place. I was pretty confident I'd managed to squeeze in," said Youngs. Scarlets boss Nigel Davies wasn’t as concerned with the theatrics as he was with the way Youngs received the ball though, citing Thomas Waldrom as making an illegal pass from the ruck. "I felt Waldrom was off his feet when he moved that ball," he said. "Some of those calls go for you, sometimes they don’t and that was pretty significant in terms of how the game was going at the time. It certainly put a spring in their step and added to their momentum. I thought Waldrom was off his feet. But there we are," Davies added. Another weekend of European action has come to an end so over the next week we’ll be looking back at the best games, as well as some noteworthy moments. This post features Leinster’s good win over Saracens on Saturday as they beat them 43-20 to progress to the quarter finals. It was an impressive showing from Leinster, who pulled away in the second half with some lovely tries and devastating finishing. Sean O’Brien, Dominic Ryan, Fergus McFadden, Isa Nacewa, and Eoin O’Malley all scored as the home side took this Pool Two Heineken Cup clash. "I thought we got off to a fantastic start," said Leinster coach Joe Schmidt. "The first two tries we scored were superb. Conditions were very tough out there and to get the 12 points up was fantastic but then to allow them back into the game so easily into the gale, was very, very frustrating. "I'm delighted to get the result we did and delighted with some of the play that we managed to construct and finish to get the six tries. At the same time, we know it wasn't a perfect performance and Saracens probably lost a little bit of interest toward the middle part of the second half," he added. Sean O’Brien, Isa Nacewa, and Richardt Strauss all played crucial roles in what was at times a highly impressive display from the Irish side. Jonny Sexton and Brian O’Driscoll also showed their class all afternoon, both looking in good form ahead of the Six Nations. For Saracens, Gavin Henson limped off with a calf injury which could prove to be a bad blow for his Six Nations ambitions with Wales. Highlights and other clips from the weekend will be featured in due course. If there's anything in particular you spotted that you think should be shared here on the site, please get in touch via email or post a request on the forum. Northampton Saints secured top spot in Pool One of the Heineken Cup as they scored five tries to beat Edinburgh 37-0 at Franklin’s Gardens on Friday night. The home side bounced back from successive Premiership defeats to overwhelm the visitors. Saints became the first side to secure a quarter-final place after the convincing win, which was helped in large part by some good finishing from nuggety left wing Paul Diggin, who scored four well taken tries. "He's not the fastest in the league but he gets in some very good positions and understands the game, he played very well," said coach Jim Mallinder. "We are delighted to be in the quarter-finals, it's a great step for the club and we'll try and get a home semi-final," he added. Diggin scored his hat-trick after a generous pass from Joe Ansbro following another great run from fullback Ben Foden, who looked dangerous all night. He picked up his fourth with time almost up as Bruce Reihana streaked down the wing before providing the scoring pass. "I've actually scored five tries for the club before, against Sedgley Park in Division One," said Diggin, who feels his side are well positioned to be a big threat. "The pack are unbelievable, providing Stephen Myler with an armchair ride. We have been to the big arenas now so we don't fear anyone. We can win this tournament as the competition for places is so fierce," he added. Over the years fans have sporadically been treated to rugby tv ads. It doesn’t happen too often, but when it does we're usually curious to check them out. Today is the launch of an amusing new ad campaign that includes two rugby legends. For the first time ever, Brian O’Driscoll and Jonny Wilkinson have come together in an ad campaign to help launch the new Gillette Fusion ProGlide. The two find themselves hiding in bathroom stalls, surprising unsuspecting rugby fans while hidden cameras roll. While hiding in stalls and jumping out at men isn’t usually what these two do in their spare time, the reactions of some of the participants – who were told they had to wash their hands before tasting pizza for a focus group – is pretty amusing. "Ready to take the ProGlide Challenge??" is what the guys shout out as the victims all react differently to seeing these great players suddenly standing next to them. The ad’s will be be broadcast in the UK today for the first time, featuring on ITV, Sky Sports, ESPN, and C4 over the next few weeks. They're only a few seconds long, but we’ve organised a behind the scenes build up that sets the tone and gets some of the reactions from not only the bemused men, but O’Driscoll and Wilkinson themselves. One of the ads will then play after that. In December of 2009 a shortlist of 15 tries were drawn up by the IRB and the International Rugby Players Association with a vote going to the public for the first time. Last month it was repeated, but this time there’s 18 tries to choose from. The vote has been public since December and while this is the first you’re seeing of it on RD, it’s not too late as the competition close on the 17th of this month, which is this coming Monday. In 2009 Jaque Fourie won the IRPA Try of the Year award for his great try in the corner in the second test between the Springboks and the British & Irish Lions. There were over 10 000 votes by email, but hopefully this year more will take part. It’s a truly global competition too, with tries included from the Six Nations, Tri Nations, Pacific Nations Cup, IRB Nations Cup, June and November tests, and even the Women’s Rugby World Cup. For the second year running Shane Williams has two tries featured, while New Zealand’s teams have the most tries listed with five, while Australia, England, and Wales are all represented three times. The list was narrowed down from 230 tries to get the final 18. The videos below are displayed as a playlist. Skip through and around by using the menu, or just sit back and watch them all. If there's any issues, you can mouse over and select. To enter, send an email to votetry@irb.com with your choice's number in the subject line. Manu Tuilagi put in another impressive performance this past weekend as Leicester Tigers beat Northampton Saints 27-16. He hasn't been selected for England duty though, surprising some. The young Samoan born centre was featured here on RD last month as he put in a smashing tackle on Tom Williams. Since then he's kept up his form and many had predicted that the dynamic 19 year old could be turning out for England in next month's Six Nations. Tuilagi has grown up in England and after nearly getting deported a while back, has committed to playing for the country, despite his brothers having represented Samoa. They are fully behind his decision though, as he's actually played at England Under 16, 18, and 20 levels. "My baby brother has more talent and is a better player than the other five Tuilagi boys. If he were called up for England, he'd be ready," said brother and teamate Alesana recently. Martin Johnson however, although being impressed with recent performances, has opted to not include the youngster in his Six Nations plans, instead option for Riki Flutey, Shontayne Hape, and Mike Tindall as their centres. There is some consolation for Tuilagi in that while he wasn't selected for the Saxons either, Dom Waldouck seems to be suffering with injury, so the Tigers center might get a call up. If it doesn't happen now though, you can be sure that it will in the not too distant future. The short clip below was requested and features yet another solid tackle from the young man. It also includes a bum moment for another Tigers player. Please remember you can view Aviva Premiership highlights from all the weekend's matches on the e-player on the sidebar, on the right. Scroll through to find this game, and catch up on the best of all the other games while you're at it. Japanese legend Daisuke Ohata, leading try scorer in international rugby, has been forced into retirement following a knee injury. 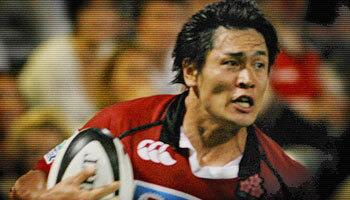 To acknowledge his contribution, here's a great full field try he scored in the Sevens in 1999. Ohata may not be a name you're familiar with, and you've probably never even seen him play, but in terms of statistics, the man is right up there with the best. In fact, he is the best when it comes to the amount of tries scored, as he overtook David Campese's tryscoring record in 2006. Of course many of those were scored against weaker nations, so it's a controversial record, as with the current consecutive Test wins record, which is held by Lithuania. He has scored tries against France, Ireland, Wales, and Argentina though, and in his prime was a try scoring machine in both Sevens and Fifteens rugby. He scored 69 tries in 58 tests and playing in two World Cups. Sadly he missed the 2007 tournament with an injury. A few days back he injured his knee in a domestic match, prompting the 35 year old to announce his retirement, which he was due to do at the end of the season anyway. "It's sad that it ended like this but I think I have had a good career," Ohata said. "I feel I have left my mark as a rugby player." This try comes from the 1999 Hong Kong Sevens, where Japan beat Scotland in the dying minutes with a wonderful length of the field try scored by noneother than gasman Ohata. One of the performances of the weekend in the Top 14 came from Biarritz as they swept aside Agen with a mighty 65-22 rout, scoring ten tries in the process. Biarritz blitzed Agen with five tries in each half, with forwards Wenceslas Lauret and Benoit August both scoring hat-tricks in front of their home crowd. Wing Zee Ngwenya got two tries, while Damien Traille and Alexandre Barozzi scored one each. Ngwenya and Traille would have been celebrating their new contracts, as they've both extended for a few more years. It was nice revenge for Biarritz, lost to Agen earlier in the season. They made sure there wasn't to be a repeat of that, as they flew into a 34-3 halftime lead. More tries were scored in the second half, but Agen added some respectability by scoring a few themselves. Keep a look out for the hands of scrumhalf Dimitri Yachvili, who was once again outstanding with his distribution and one or two neat flicks inside, keeping the defenders honest. With the big win, Biarritz are now up to fourth on the table, while Agen continue to struggle down at second from the bottom. A tryfest, enjoy the highlights. While having a look around for some of the best clips to show you this week, there's a try that was scored in the Top 14 by Stade Francais against Toulouse, finished by Mathieu Bastareaud, that definitely needs to be seen. Stade Francais hosted table topping Toulouse in what turned out to be a surprise result with the home side trouncing the league leaders 31-3. 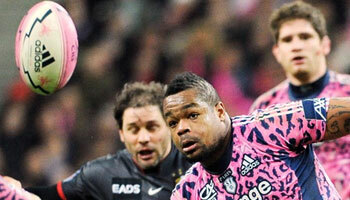 Tries were scored for Stade by Julien Arias, James Haskell, and Mathieu Bastareaud. Julien Dupuy slotted six kicks at goal as the mid table side, dressed in their infamous pink leopard skin ensemble, romped home for their biggest win of the season, allowing them to stay in the hunt for a play-off place. The Parisians were down to fourteen men for ten minutes when Ollie Phillips was carded after what looked like some play-acting by Cedric Heymans, but it didn't stop them and after a great counter attack from deep by Toulouse, Stade did the same right back to produce the try of the game, finished by Bastareaud. All the tries are included in this clip though, so enjoy, and if there was anything else you spotted in the Top 14 this past weekend that you think should be featured on here, please feel free to get in touch and we'll take it from there. 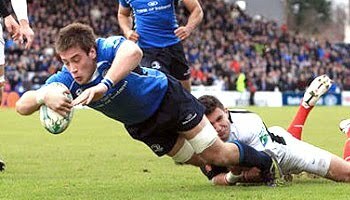 In what was a scrappy Magners League game, Leinster beat Ospreys 15-10 at the RDS on Friday night. Jonny Sexton kicked all Leinster's points, while Dan Biggar had a shocker with the boot, including a kick that he'd rather forget about. Ospreys fielded a weakened side that weren't expected to test Leinster much, but a losing bonus point left the Welsh region feeling as though they'd done okay, considering the difference in the lineups. Neither side will have been overly pleased with how they performed though. Jonny Sexton did well for Leinster however, kicking all their points with five penalties, while Justin Tipuric scored a try for Ospreys. Biggar didn't have a great night, as he missed a few vital kicks late in the game, and was seemingly inspired by goings on at Wembley recently as he smashed one of his penalties directly into the crossbar. The ball moved on the tee as he was about to strike it, which seemed to cause the blooper. It was amusing, but coach Scott Johnson downplayed the poor kicking performance, which included just two successful shots out of seven attempts at goal. "I thought Dan played very well; we don’t do blame for missing kicks, especially when one of them was as a result of the ball falling off a kicking tee on his run up. I was proud of the way he played and proud of the way the guys played generally," he said. While it's good for a laugh, goal kickers will inevitably have bad nights occasionally, but young Biggar kept his chin up and will no doubt bounce back.. in much the same way as the ball did. Biarritz had a fantastic day in the Top 14 yesterday as they scored ten tries to beat Agen convincingly. That game will no doubt feature over the next few days, so until then, here's a nice try scored by their fullback Iain Balshaw recently. Over the last few weeks one of the biggest talking points in English rugby has been that the RFU have announced that English players playing abroad won't be in contention for England selection after the World Cup. That means guys such as Balshaw, Jonny Wilkinson, James Haskell, etc won't be considered. It seemingly hasn't deterred anyone though, as Wilkinson himself has extended his deal with Toulon, and Balshaw this week signed for another three years. While he hasn't played for England for some time and is seemingly not on the radar, good form and tries like this one might have possibly changed that. With Martin Johnson saying he won't pick players from foreign clubs, no matter what guys like Wilkinson and Balshaw do in France, they won't play for England again, until they move back to their home country. As we've seen with New Zealand and South Africa though, there does seem to be room to adjust the rules when needed, as the RFU said they'll do 'in exceptional circumstances'. This try is just a nice example of what Balshaw - who has frustrated England fans in the past with his hot and cold form - can do in a little space with ball in hand. Incidentally, it's actually Wilkinson who he chips in this clip. Cardiff Blues scrumhalf Richie Rees was handed a 12 week suspension earlier today for his part in a scuffle against Northampton Saints that involved his fingers making contact with Dylan Hartley's eyes. Yesterday England lock Dave Attwood was suspended for nine weeks for a stamp, and today it's Welsh back Rees who will also take no part in the Six Nations next month. Rees' incident took place when a scuffle broke out in a hugely physical Heineken Cup game last month. It's the same match where Xavier Rush was red carded for a big hit on Courtney Lawes. Rees was reportedly surprised when he found out he was cited after the match, as he couldn't recall the incident. In fairness, Hartley, who was on the receiving end, barely seemed to notice it himself. Despite that, a citing went ahead with Rees pleading not guilty, stating that any contact that was made would have been entirely accidental. Irishman Pat Barriscale, the Independent Judicial Officer, viewed numerous replays (more than what was televised) and heard testimonies from the players. He found that Rees was in fact guilty of foul play, even if it was reckless more than intentional. It was found to be at the low end of the scale in terms of Law 10.4(m) - contact with the eye/eye area - but that still constitutes a minimum sanction of 12 weeks. Rees has the right to appeal. The following clip includes a tackle from Hartley that more than likely prompted the scuffle, with Blues lock Paul Tito clearly taking exception to it. It's been a controversial week for rugby in the UK and France as a handful of incidents have resulted in suspensions. Here's a quick clip of one that took place in the Top 14, when Toulon met Bayonne last week. Toulon lock Joss Suta made this horrible looking hit on Remy Martin as his side went down 20-9 in what was a disastrous game for the big spending team. Suta was shown a straight red, leaving his team to play the remainder of the game with just fourteen men. Martin left the field shortly after the dangerous hit. The referee's handling of the game came into question though as Toulon coach Phillipe Saint Andre was frustrated with the way the match was handled at times. "Bayonne should be congratulated for winning a game one try to zero against fourteen players. You're always going to be chasing the game when that happens," he said. Suta was cited and will appear before a Disciplinary Committee on January 19. He is suspended from playing pending the decision of that hearing.